What About the Cross of the Christian? Christianity without violence is no Christianity at all. Salvation without death is no salvation at all. We talk all about the Cross of Christ, but what about the Cross of the Christian? We like to talk about regeneration, the new life, but have we forgotten that only after death can new life begin? As I studied Matthew 9:9-17 this past week, I was reminded that identification with sinners was an essential part of Jesus ministry on earth. 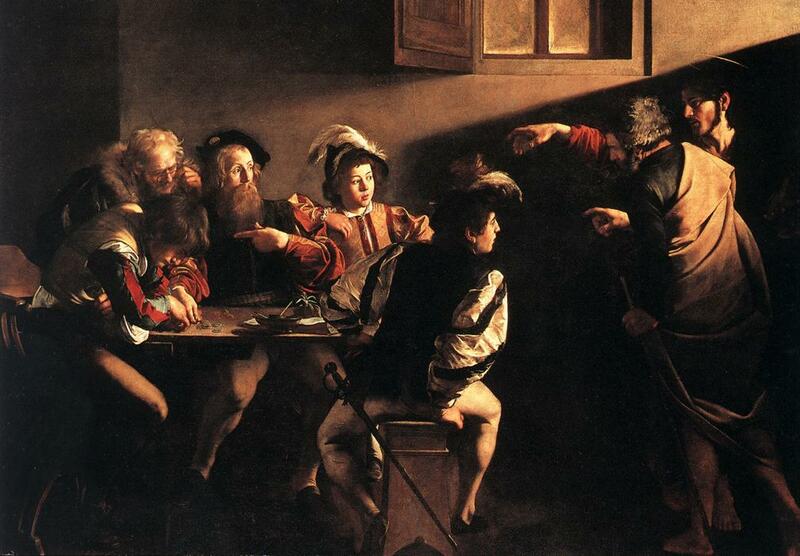 In Matthew 9, we find Jesus sitting at a dinner party at Matthew’s house with tax collectors and sinners. The Pharisaic paparazzi lurking in the bushes cannot believe the scandal they are witnessing. Jesus the Rabbi is sitting inside a house bearing a sign that reads, “For Sinners Only.” Right in the midst of all this, Jesus quotes from Hosea 6:6, “I desire mercy and not sacrifice.” The statement is plain enough in context: Jesus is the one willing to extend true mercy to sinners, while the current priesthood is more concerned with keeping sinners at arms’ length. However, the quote from Hosea reaches much further into the depths of Jesus’ mission. The infidelity of God’s People as recounted in Hosea was primarily blamed on the faithless priests. When Jesus spits Hosea 6:6 at the Pharisees, he is indicting the entire priestly establishment with the accusations of Hosea (did I mention that Jesus and Hosea share the same Hebrew name?). When Matthew quotes from the OT, he often intends for the experienced reader to consider the entire context of the verse mentioned. In that vein, consider that Hosea 6:9 reads, “As robbers lie in wait for a man, so the priests band together; they murder on the way to Shechem; they commit villainy.” If that’s not a subtle hint about Jesus’ fate, I don’t know what is. In Matthew’s Gospel, Jesus is displayed as the “True Israel”. In fact, Matthew quotes from Hosea 11:1, “Out of Egypt I have called my Son,” quite early in the story to help establish this theme. More specific to the story of Jesus and the tax collectors, Matthew intends us to see Hosea as a picture of Jesus the Scandal-maker–Hosea was a man who embraced a prostitute as his wife. In Matthew 9, Jesus’ quote from Hosea 6:6 is meant to spark these thoughts in our minds. Hosea 6 is a chapter about the renewal of Israel. After the LORD had torn Ephraim like a lion and shredded Judah like a young lion, he promises healing and care. The chapter opens by saying, “Come, let us return to the LORD; for he has torn us, that he may heal us; he has struck us down, and he will bind us up. After two days he will revive us; on the third day he will raise us up, that we may live before him.” Do you hear all of the we’s and us’s? Jesus identified with sinners; that is the point of Matthew 9:9-13. The we’s and the us’s of Hosea 6 point to Jesus–and all those who identify with him. We were torn with him, so that the LORD may heal us. He called us to be struck down with him, so that our God might bind us up. We were called to die in him on the cross, that after two days the LORD could revive us. On the third day, tax collectors and sinners were raised up with him, that we might live before our God. We celebrate Jesus resurrection only because we first have been violently put to death with him on the cross three days before. Paul puts it this way, “I have been crucified with Christ. It is no longer I who live, but Christ who lives in me” (Gal. 2:20). When Romans 7:4 says we have died to the Law in the body of Christ, there is nothing metaphorical about that. We who are Christians died with Christ on the cross. Perhaps more time spent meditating on what it means to die with Christ will help us all find what it truly means to live in Christ. We emphasize the death of Jesus in our churches, but do we emphasize the death of believers? Without death there is no new life. When Jesus approached Matthew at his tax booth, he called out to him, “Follow me.” One simple command, but it had startling consequences. Matthew had no idea where Jesus was going, but he hopped up and immediately followed Jesus. Little did he know that Jesus was leading him and his other sinner friends toward death…and then new life. What was it Jesus said…oh yeah, “If anyone would come after me, let him deny himself and take up his cross and follow me…” (Matthew 16:24).